On October 6, 2016, about 1200 eastern daylight time, an experimental amateur-built Flying Flea HM14/360, N83165, was substantially damaged during a forced landing after takeoff from Waterbury Airport (N41), Waterbury, Connecticut. The private pilot was seriously injured. The personal flight was conducted under the provisions of 14 Code of Federal Regulations Part 91. Visual meteorological conditions prevailed, and no flight plan was filed for the flight, which originated from N41, about 1130. According to two witnesses, the pilot was conducting touch-and-go landings. After approximately 30 minutes, the engine began to sputter on climbout. Both witnesses watched as the airplane continued in a southerly direction before descending into trees. Initial examination of the airplane by a Federal Aviation Administration inspector revealed that both wings were broken away from the fuselage. The airplane was recovered from the accident site and retained for further examination. PLYMOUTH — Federal Aviation Administration records indicate the small plane that crashed in Plymouth on Thursday was owned by Middlebury resident James Bruton, who had not been released from Hartford Hospital as of Friday afternoon. 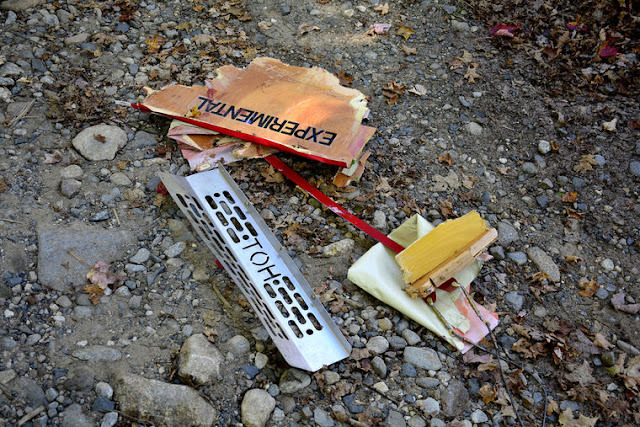 Officials from both the FAA and the National Transportation Safety Board declined to confirm Bruton was the pilot whose engine cut out several times before it crashed into a wooded area near Camp Mattatuck and Gentile’s Camp Ground, off Mount Tobe Road. The area is not far from Waterbury Airport, a small airport for privately owned planes on the Waterbury-Plymouth border. A hospital employee confirmed Bruton was in the Intensive Care Unit at Hartford Hospital Friday afternoon. Spokespeople for the hospital did not return phone calls Friday requesting an update on Bruton’s condition. Terryville firefighters said the wooden, single-engine plane was approaching from the north when its engine cut out and had to dump into the trees near a pond around 5 p.m. Thursday. Immediately following the crash, eyewitness Greg Gubitosi, who works at one of the campgrounds and was fishing in the pond, ran over to the small, single-seat aircraft and called 911. Gubitosi said the victim appeared to have facial trauma, labored breathing and couldn’t speak. He also had a “deformed left leg,” as the experimental plane had caved in on him. Firefighters, who said the pilot suffered internal and head injuries, had to extricate the man before he was flown on the LifeStar emergency helicopter to Hartford Hospital. Officials from both the NTSB and the FAA responded to the crash and had left the scene by early Friday afternoon. Neither agency released many details Friday, including where the aircraft had been coming from and whether it intended to land at Waterbury Airport. The cause of the crash is still being investigated. The NTSB is expected to release a preliminary report on the accident within a week to 10 days. “We’re still fact gathering,” said Keith Holloway, NTSB spokesperson. By Friday afternoon, the wreckage from the experimental aircraft had been removed from the campgrounds. In aviation terms, an experimental aircraft can refer to a plane not fully proven in flight yet, using new aerospace technologies, or a homebuilt aircraft. Firefighters said fuel leaked from the plane, but it never caught fire. Gubitosi said the plane was flying low, circling the area, and its engine cut out twice and fired back up before going dead a third time prior to the crash. Had he not been fishing nearby, he’s not sure someone else would have heard the crash and reported it. “He would have spent the night here if I wasn’t here,” Gubitosi said. PLYMOUTH — A man sustained serious injuries Thursday when a single-engine airplane he was flying crashed into a wooded area near Waterbury Airport. 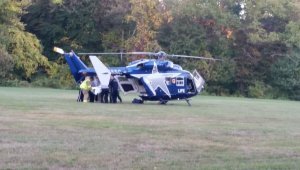 Firefighters said the man, who was not identified, was taken on the Life Star emergency helicopter to Hartford Hospital. His condition is unclear. Terryville Fire Chief Mark Sekorski said the man — the only one in the single-seat plane — was “pretty banged up” when firefighters found him in the wooden, experimental aircraft, which crashed not far from a pond at the Gentile’s Campground around 5 p.m. The man suffered head and internal injuries, the chief said. Firefighters had to extricate him from the aircraft, which was equipped with a BMW engine, before he was flown away to the hospital. Police, fire and ambulance crews from both Waterbury and Plymouth responded, as the crash happened near the town’s borders. Greg Gubitosi, who works at the campground and lives a few miles away, was fishing in the pond when the plane crashed. He saw the whole thing. Gubitosi said the plane was circling around the pond when he heard its engine cut out about three times before it crashed into the woods, a few hundred yards from where he was standing. “They do that for training sometimes, so I thought he was maybe training,” he said. When he realized the pilot was in distress, Gubitosi noticed the plane did not have a pontoon-style landing system and worried about where he would set down. “He had labored breathing,” Gubitosi said. Firefighters said fuel leaked from the plane but it never caught fire. They taped off the area before officials from the Federal Aviation Administration arrived to investigate. Gubitosi said he was glad he was nearby when the crash happened, as no one else is normally at the campground this time of year. He also said he did not know who was in the plane. PLYMOUTH, Conn. (WTNH) — News 8 has learned that a plane has crashed near the Waterbury Airport in the town of Plymouth. Life Star says they responded to the scene at 5:20 p.m. and that they are caring for one patient. It is unknown where the patient will be taken for further treatment. Emergency crews remain on the scene. There are very few details being released at this time. There is no word on the severity of any injuries. 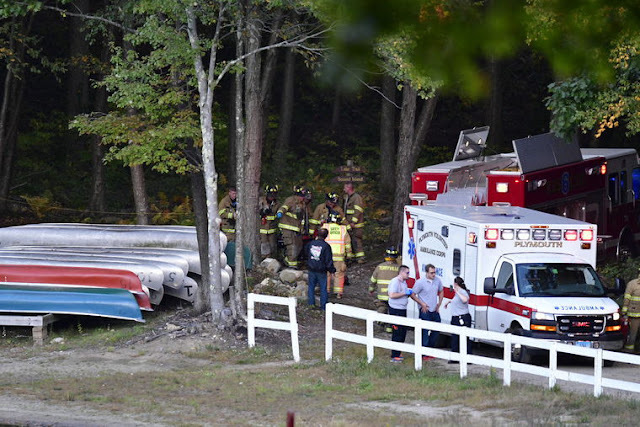 PLYMOUTH — One victim was extricated Thursday evening from a small plane that crashed near Waterbury Airport, a small private airport in Plymouth. The victim was taken by Life Star helicopter to Hartford Hospital for treatment. The pilot’s name and condition have not been released. The pilot crashed the plane off shore at Mattatuck Boy Scout camp in Terryville.